In the year 1092 A.D., in the land of Cumbria, a young maid stands and watches the self-proclaimed servant of Satan draw his last breath by her hand. The people of his land called him Fyren. She called him Father. Knowing that her death is inevitable but desperate to save her lands and people from the ravages of a war that she can not win, Melisande commands Fyren to the fires of hell and urges her own Saxon knights to give over to the approaching Norman lord with no bloodshed. Then she strips from her body the tells of her identity and disappears into the anonymity of servitude, so the new Lord will never suspect the horrifying secrets and dark terrors that mark her so egregiously. Alain de Crency had never taken a holding so peaceably before, but it seemed no sooner did he enter the castle on orders from his king then the peoples therein kneel to swear fealty. But that is not the only command that Alain must follow, so when he is told that the Lady Melisande, given to him to wed by king's decree, has fled the walls of her home, Alain was greatly discontented. He is tasked not only in securing the lands and surrounding areas for the king's journey towards further conquest, but now too finding...and wedding...the former lords daughter. 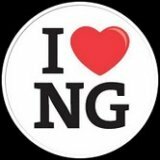 But the longer he is at his new home, the more a pale, serious, and somber servant girl named Edyt catches his eye and stirs his blood. Flashes of challenge...and sometimes terror...flare in her eye, and the people of the holding seem to pay great mind to her words. Suspicion roused, he watches the fair maid like a hawk about to swoop down on its prey, even as rumors of sorcery and witchcraft and the evil machinations of warriors and kingdoms tighten their nooses around them both. One has no trust, only certainty of her own demise, the other has no meanness, but no answers to far too many perplexing questions. And to save the people they each call their own, they must join together in ways that may forever damn them both. 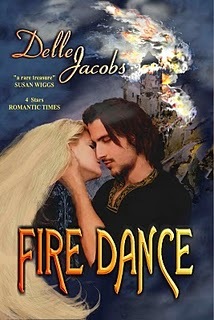 For fans of historical romance, Fire Dance should not be missed. Rich in character and deep in plot, steeped in historical accuracy (barring a few tweaks for creative license), I was surprised at the complexity and depth of this book and the sophistication of its telling. Delle Jacobs has a deft hand with secrets and tragedy, hope and love, war and politics, weaving them all together into a fine tapestry of pure reading enjoyment. Alain is a good, if uncomplicated soul, with a strong sense of right and wrong and a determination and dedication that was truly knightly. Wise to the ways of war and to the demands of loyalty and fealty, he was so utterly perplexed by the contradictions of Melisande that it tempered his character and prevented him from tilting too far into perfection. He was realistic and quite likable, even when he was being a bit of a boorish male - or...especially then. Melisande, however, is where Jacobs really shined her creative light. Complex, haunted, and flawed, Melisande is both a woman of her time and a progressive free thinker, and while those two things should be mutually exclusive, wonderfully they are not. The tragedies she has suffered are immense and unthinkable, but her reactions and the actions she takes are completely believable and understandable. As a character, I found her frustrating and charming, and even, occasionally, a bit of a shrew, but instead of disliking her, I marveled at how adeptly Jacobs painted her, and how sympathetic a character she was because of it. The plot was simply great. Layered with magic, brushed with superstition, colored with science, tempered with humor, and trimmed with warfare, the journey of Alain and Melisande through the pages was nearly epic in scope. Secondary and ancillary characters added weight and substance to the story and filled out the novel nicely. I was particularly fond of Alain's second Chretien and Melisande's protector Gerard. They were quite characters, and the plot thread about Gerard's family in particular was tense and action-packed, if short. Chretien's past was heartbreaking, and he was a much needed sensible voice for Alain...whose emotions often got the better of him. As a whole, the characters were vital to the vibrancy and impact of the plot and the overall book. There were times I struggled with the style of the cadence and language in the narrative. It felt very authentic to the time period, so I can hardly consider that a critique of the author's choices, but it wasn't always easy to suss out the meanings of things without having to really think about what I was reading. For being a long and very thorough book, though, I found myself gobbling it up, and got a little frustrated when I had to slow down to understand what I was reading. There were some peculiar transitions in the narrative, and the occasional scene change with abrupt and inexplicable leaps in time. One in which Melisande was unconscious and sick at the end of one chapter and near to fine at the next page with no explanation was very disconcerting and off-putting. And honestly, I could have done without the majority of the warfare between neighboring holdings. There wasn't really enough historical backstory given to fully understand the goals and politics involved with the monarchy, so the battle scenes and conflict with Saxons weren't always successful aspects of the story, but it did provide an interesting glimpse into history. One of the things that impressed me most about the book, though, was the brilliant portrayal of science and ailments, and the importance of learning and education in a time when so few were learned. With seamless precision, Jacobs fashioned characters with absolutely believable fears and superstitions, ignorant to the calm predictability of science, full of dread certainty of consequences for sorcery and demonic possession. The way those issues were developed and dealt with, along with the completely satisfying evolution of the romance between Alain and Melisande, were my favorite parts of the book, and what truly set it apart from so many formulaic historical romances. Rich with history and full of solid storytelling, Fire Dance was a far more satisfying and pleasing read than I was expecting. I thoroughly enjoyed it, despite not being a huge fan of the genre, and found the characters and their story to be compelling, interesting, memorable, and ultimately entertaining.